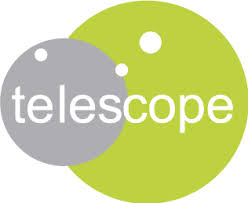 We are pleased to announce that we have established links with the new European Telehealth Code of Practice (Telescope project) to provide synergies for organisations working with both disability equipment and telehealth services. CECOPS CEO, Brian Donnelly, has worked with Dr. Malcolm Fisk, UK lead for the Telescope project, to carry out a read-across exercise between our Code for community disability equipment and the new European Code of Practice for Telehealth Services. The assessors for the European Code are DNV GL, who also carry out CECOPS’ assessments for accreditation. This means that we can establish passporting arrangements for organisations providing both community disability equipment services and telehealth services (including telecare): where organisations meet certain CECOPS standards, this will also apply to certain standards from the new European Code – and vice versa. There would of course be financial benefits from being assessed by DNV GL against both Codes at the same time. “Clients access different types of equipment from a variety of sources; to ensure they receive good quality and safe services regardless of the type of equipment, it is essential that we work together with other standards bodies to help providers achieve better outcomes as efficiently as possible. The aim of our Code was never to create unecessary extra work with regards to assessing compliance; we are therefore delighted to be able to work with other bodies to streamline gathering of evidence and streamlining of assessment processes to achieve our aims. Please note that whilst CECOPS has established links with the European Code for Telehealth, we are not in a position to endorse specific codes, or prefer one over another. Where appropriate, CECOPS is willing to engage with other organisations wishing to look at a similar read-across exercise.